* Ravi Zacharias – Who is Jesus? Josephus ben Matthias is the best known ancient Jewish historian. He was born in AD 37, only a few years after Jesus’ execution. Josephus was well educated in biblical law and history. On his mother’s side he was a descendent of the Hasmonean Kings. On his father’s side he came from a priestly family. Josephus counted among his friends Agrippa II. His life took some dramatic turns in AD 66, when the Jews in Palestine revolted against Roman rule. Although Josephus was only 29 at the time, he was given command of the Jewish forces in Galilee. His forces were no match for the Romans and were utterly defeated. Josephus survived, however, and became an advisor to the Roman general Vespasian by prophesying that the general would become the Roman Emperor. Not so amazingly, in AD 69 Vespasian did become Emperor. As a result, Josephus’ stock went up and Vespasian returned to Rome to run the Empire. Vespasian’s son, Titus, was given the responsibility of completing the war against the Jews. Titus used Josephus as an interpreter and spokesman to the Jewish forces in Jerusalem. 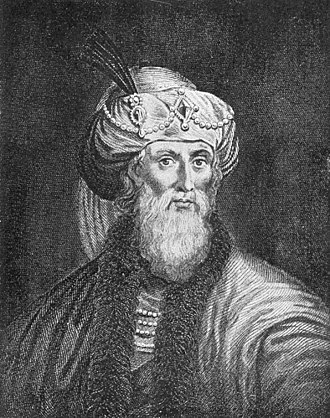 Josephus was berated by the Jews of Jerusalem after he repeatedly called on them to surrender to the Roman forces. Eventually, in AD 70, the Romans crushed the revolt and destroyed Jerusalem. Josephus returned with Titus to Rome, where he was awarded for his service with a house and a pension. With time and resources, Josephus turned to writing of history. In the 70s, he wrote Jewish Wars, which provided a chronicle of the wars of the Jewish people. He thereafter in the 90s wrote a much broader history of the Jewish people, Jewish Antiquities. Josephus’ writings cover a number of figures familiar to Bible readers. He discusses John the Baptist, James the brother of Jesus, Pontius Pilate, the Sadducees, the Sanhedrin, the High Priests, and the Pharisees. As for Jesus, there are two references to him in Antiquities. I will recount them in the order in which they appear. First, in a section in Book 18 dealing with various actions of Pilate, the extant texts refer to Jesus and his ministry. This passage is known as the Testimonium Flavianum referred to hereafter as the “TF”. Second, in Book 20 there is another reference to Jesus in a paragraph describing the murder of Jesus’ brother, James, at the hands of Ananus, the High Priest. But the younger Ananus who, as we said, received the high priesthood, was of a bold disposition and exceptionally daring; he followed the party of the Sadducees, who are severe in judgment above all the Jews, as we have already shown. As therefore Ananus was of such a disposition, he thought he had now a good opportunity, as Festus was now dead, and Albinus was still on the road; so he assembled a council of judges, and brought before it the brother of Jesus the Christ, whose name was James, together with some others, and having accused them as lawbreakers, he delivered them over to be stoned. It is not the purpose of this article to address the arguments of the few commentators – mostly Jesus Mythologists – who doubt the authenticity of the second reference. According to leading Josephus scholar Louis H. Feldman, the authenticity of this passage “has been almost universally acknowledged” by scholars. (Feldman, “Josephus,” Anchor Bible Dictionary, Vol. 3, pages 990-91). Instead, this article focuses on arguments regarding the authenticity of the TF. Although Josephus’ reference to the martyrdom of James is universally accepted by critical scholars, there has been more controversy over the fuller reference to Jesus. “A strong majority of scholars, however, have concluded that the TF is authentic to Josephus. In his book Josephus and Modern Scholarship, Professor Feldman reports that between 1937 to 1980, of 52 scholars reviewing the subject, 39 found the TF to be authentic.